Nenè Kitchen Bellagio - Kitchen space available for you! Nenè kitchen Bellagio, a private kitchen space where to have fun preparing a special meal for your private occasion in Bellagio. It may be a surprise for Mother’s Day or Father’s Day, for the boyfriend/husband, or why not girlfriend/wife… a bachelor or just for a fun get-together! Nenè Kitchen is the perfect place! Why not to rent a kitchen with all the equipment and avoid the inconvenience of having to tidy and clean? Borned in October 2015, Nenè Kitchen Bellagio is our last adventure. An equipped kitchen to share, available to anyone who desire a peculiar dinner or enjoy your very own private cooking lesson with an Home Chef! Our Home chef will enrich your knowledge and guide you through the steps which create an irresistible menu…all which can be reciprocated at home! During class you will prepare an homemade pasta, a sauce at your choice (to be communicated at the time of booking) from meat, fish or vegetables and a dessert. Our kitchen space is ideal for groups up to a maximum of 12 persons and can be matched to our fire place room “Nenè Space4U” in case of larger groups. 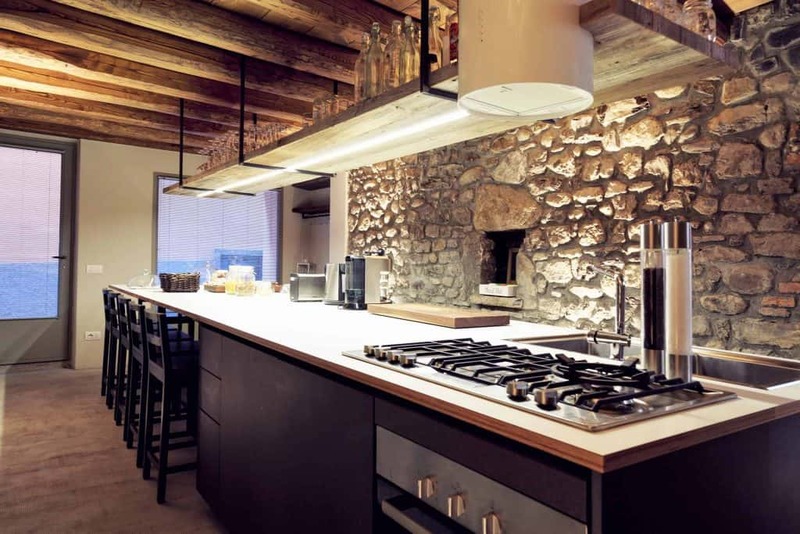 Nenè Kitchen Bellagio is conviviality and sharing family environment in the suggestive hamlet of San Giovanni just few minutes away from Bellagio centre. Located in Via Pescatori, 20, Bellagio. The kitchen space has 12 seating and is fully equipped.